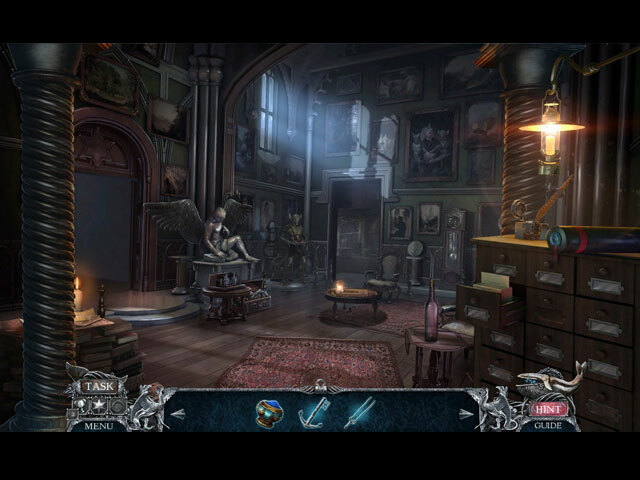 Rated 5 out of 5 by Mystery_Fan from Best Game of the Series! Don't miss this one. So many mediocre games come and go, but this one is a gem. Many in this series have been very good, but this one is my favorite. I enjoyed the plot, characters, art and music. I especially enjoyed the variety and quantity of the locations -- very long game. The other highlight for me is that the games were thinkers, but not too difficult or random in solution. I enjoy the extras of the CE version e.g. finding collectibles, morphing objects in the HOs (which also were well done), and getting the achievements. The only achievement I missed was to attack the henchmen without mistakes. This is definitely the best adventure game I've played in the past couple of years (and first review I've done in about that timespan). Enjoy gamers! Rated 5 out of 5 by CNew from Great Game and Addition to the Series Enjoyed this game of the series. 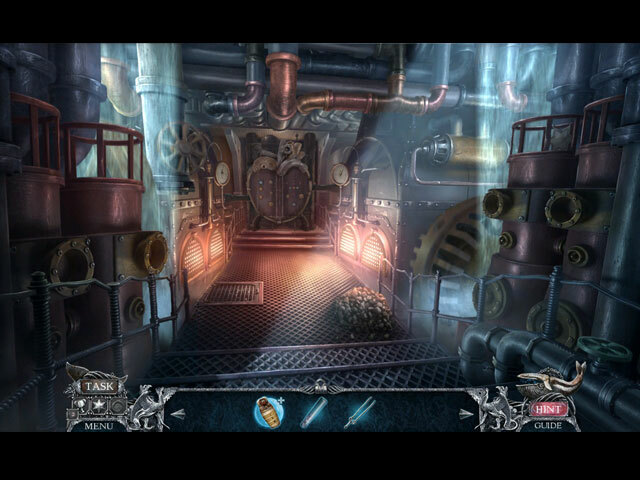 It's fun and like the Jules Verne addition to the storyline. The Oz characters are okay and there was just enough of them in the game to not become annoying. I am getting ready to play the game again. I thought puzzles were interesting and had some different spins. I really liked the intro that went through the past games, I had played all of them. Rated 5 out of 5 by TheRealMagicJack from A Big Game with Fresh Puzzles This has been a very satisfying game. The visuals and artwork are visually engaging and the game is not only big, but full of new challenges and puzzles that I've never seen even variations of before. Some are quite tough and you'll be proud of yourself should you not click 'Skip' on at least one of them. I skipped 2 times, not too proud of myself, but props to the game. This game gets my definite recommendation. Catch it at a discount and you'll be getting a bargain for the price. Rated 5 out of 5 by WaltzingFish from Great Details! If you are looking for a game with many surprises - this might be it! If you are looking for a game with reasonable challenge, but never frustrating - this might be it! If you are looking for a game that is new, fresh, fun - this IS it! From start to finish (including the Bonus things), so much humour, polished game delight, every scene, every piece of music, every puzzle, everything - just great gaming! Rated 5 out of 5 by riverdiver from Funtastic! Follow the yellow brick road to the centre of the moon? In 80 days to Emerald City? We’re off to see no wizard, no portal, no rainbow … but a spectacular, entertaining game packed with great visuals, fantastic sounds, gripping story, challenging HOP’s and mini-games. 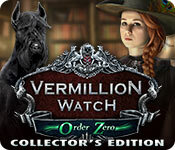 Vermillion Watch loves to mix characters from various backgrounds and by different authors and lets them play together. I was sceptical when I played the beta, but now, after having completed the game and taking into account how much fun I had, how often I laughed out loud, I am convinced. The different characters play well together. The sceneries are detailed, rich, but far from overloaded. I love London, Victorian atmosphere, museums, ships and zoological gardens, advancing in the game was going from one pleasure to the next. The HOP’s were simply great in variety and creativity. The morphing objects were challenging to find, not the usual objects. This was very refreshing. Mini-games were fun, some easy, some real head-scratchers, all well presented. I try to solve them without reading instructions, I prefer puzzling over what has to be done. The Bonus Chapter was a great addition. 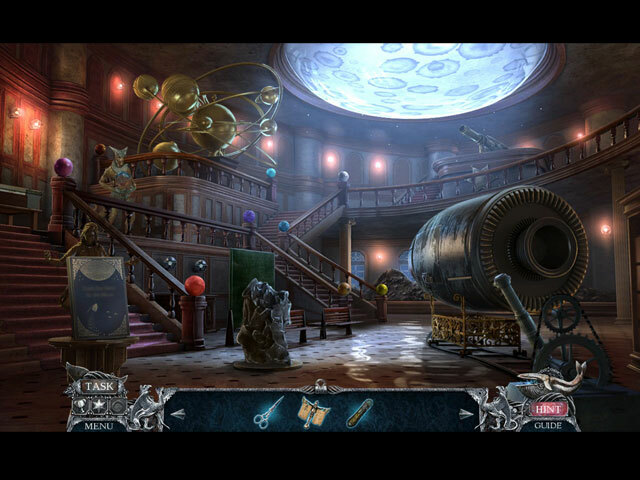 Young Hawkes is called to the Verne Museum, has to help the curator again. I wouldn’t have minded to play in the rooms we’ve been to before. But we get to see another tract of the museum, I really appreciated this. In the very last HOP you get rebus clues, one is them shows peanuts and a stool. Startled? Play the main game and find out! Details like this one make a game for me outstanding. I will replay the HOP’s, some of the mini-games and I’m so pleased I didn’t get all achievements. Reason to replay the game, right now! Rated 5 out of 5 by timothya from We're Not In Kansas Anymore The third in the Vermillion Watch series and I'm hoping not the last. Pros: gorgeous graphics, wonderful game design incorporating a multi-pathed solution set, smooth game play, plenty of puzzles some of which were nicely challenging, adequate to very good voice acting, writing good enough to justify a separate mention below, and a surprise ending (or is it?) that ties the three games together. This is one of those games where you linger from scene to scene to soak up the atmosphere. Cons: not much. Certain puzzles suffered from twitchy controls, the second elephant puzzle resetting way too easily. I quit it in frustration with the solution in hand because I couldn't control the mouse finely enough to stay in the path. Writing: very appealing steampunk setting with nods to period literature that ranged from awful puns to hilarious contrasts with the original characters. Order Zero is Oz, of course, and our Dorothy is now a bounty-hunting action heroine and Toto a sleuth hound, all in addition to the previous cast of characters such as Edgar Allen Poe and Phileas Fogg. Captain Ahab makes an appearance, as does the daughter of Captain Nemo. None of these is remotely like the original, which is part of the fun. Loved the plot, the development, the denouement. Game Design: also merits special mention. As the previous two games, this is multi-pathed. At several points the player is left with a choice, some of which do not affect the game, some of which do, or at least the solution path. The logic flow was very complex, the zoo in particular being a work of art puzzle-wise. Some of it stretched the limits of logic, for example, how were we supposed to know how to make that collander? The trusty map was the player's only clue unless he or she wanted hit the very useful Hint button. I just loved the game. Beside the plot, characters, and puzzles there is a sly humor that keeps it from getting overly pretentious. A secret compartment in a peg leg? Come on now, well, OK, it was pretty funny. And lots and lots of lovely puzzles. This one's a five for me. More of this, please! Rated 5 out of 5 by shunterfl from My All Time Favorite! I just finished the CE version of this game and I must say it is among my all time favorites and I've played them all! There were no cute little sidekicks to help me along, I didn't have to save the souls of my lover/sister, etc., nor was the world under attack by some demon accidently released after being imprisoned for thousands of years by some ancient wizards--AND all the zippers worked! On a serious note, the graphics were gorgeous, the voiceovers were believable and the games were, in the most part, original. My only complaint, and it's a small one, is that I have a very difficult time finding the morphing objects in the HOGs. Largely because they were not objects at all but small etchings (at least the ones that I finally found). Bottom line: Buy this game. You won't regret it. Rated 5 out of 5 by nariiska from Eipix success What an interesting yet successful next chapter in this series. You are taken on a journey that cleverly shows previous storyline and weaves in Egyptology, wizard of oz and new mini games to play. A must buy !! Rated 5 out of 5 by marijkee123 from Loved it After playing the demo I looked at the page and there was 1 review.A negative review and I ignored it. I bought the game and it is a good game. A real good game. Hope you will try it! Rated 5 out of 5 by nefra from Fantastic game!!! This game had everything you could want in an HOP! The characters, the storyline, and the background were awesome. I wish all the games were like this one. Well done!